What is believed to be a gas leak in Paris, France, has caused an explosion that has injured several people. Photos shared on social media show buildings and cars destroyed by fire. 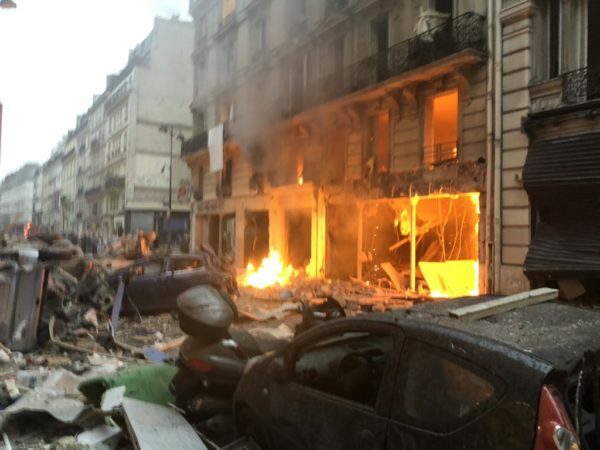 The fire is believed to have started at a bakery, and Al-Jazeera reports that firefighters were at the scene of the blast on Rue Trevise. Several injuries have been reported from the blast, but no deaths. Thank goodness there’s no death.